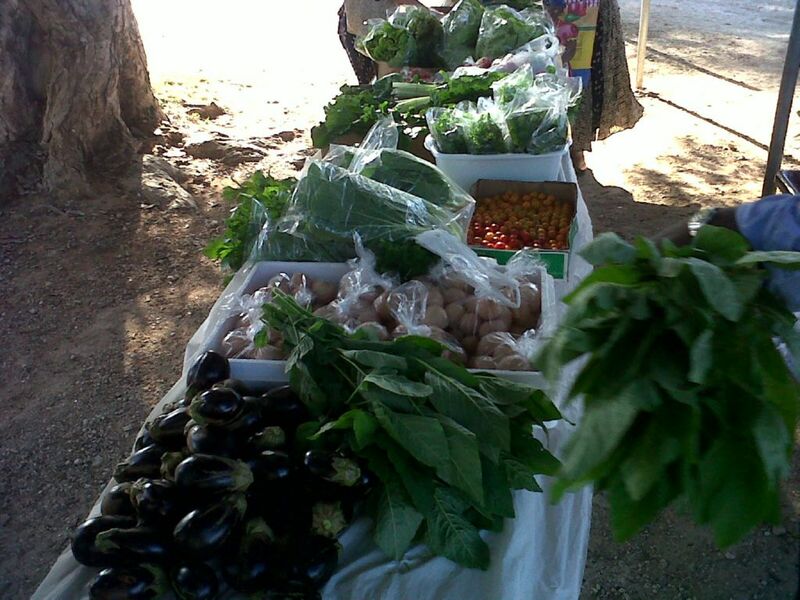 It is not uncommon to drive through Anguilla and see stalls filled with vegetables and fruits on the road side. Many of these crops are locally grown. On a Saturday morning, I usually head out to the coronation avenue directly opposite the Ministry of Infrastructure, Communications, Utilities and Housing (MICUH) because I know that is where I will find Jerome Richardson, owner of Island Greens. I enjoy the local vegetables from Island Greens and I have made many delicious dishes using their kale, eggplant, tomatoes, peppers and much more. Read on to find out what Jerome Richardson better known as Jerry has to say about this unexpected but rewarding venture. When did you start Island Greens? I moved back to Anguilla after University in June 2010 and I had my first crop for Island Greens in August 2010. I worked in Information Technology and also did some networking prior to attending University. I studied electrical engineering while at University. However, in Anguilla, there are limited options for an engineering degree. I always did farming with my dad. We grew lettuce, bok choi, green onions and other vegetables. I didn’t like farming with him because he did it as a passion rather than for reward. My dad would give away everything. I decided to educate myself about farming by reading books and surfing the internet and turned farming from a hobby into a business. Did you always want to work in Agriculture? No I didn’t. However, when I returned to Anguilla, I recognized that there was a niche that needed to be filled. It is all about sustainability. Anguilla’s imports are huge and the quality of the items we get here isn’t very good. I saw an opportunity to improve the quality of fruits and vegetables offered in Anguilla. 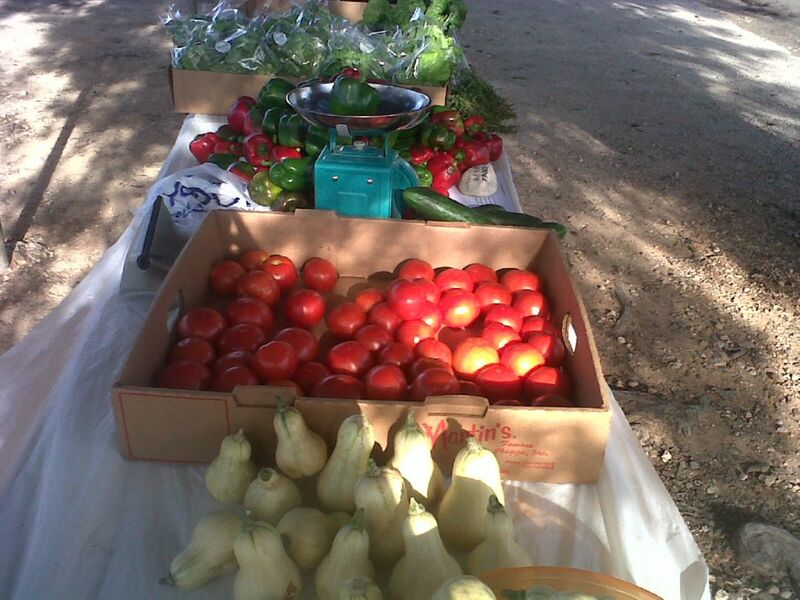 Anguillians deserve better fruits, vegetables and other produce than the items that are imported. Do you sell to hotels? We sell to hotels which are willing to purchase from us. The response is getting better. They understand the quality of what we offer. Many hotels serve imported fruits and vegetables to our visitors but our visitors know what fresh food should taste like. Island Greens and other such local farmers provide another opportunity for hotels to buy fresh. Do you get a lot of support from Locals? 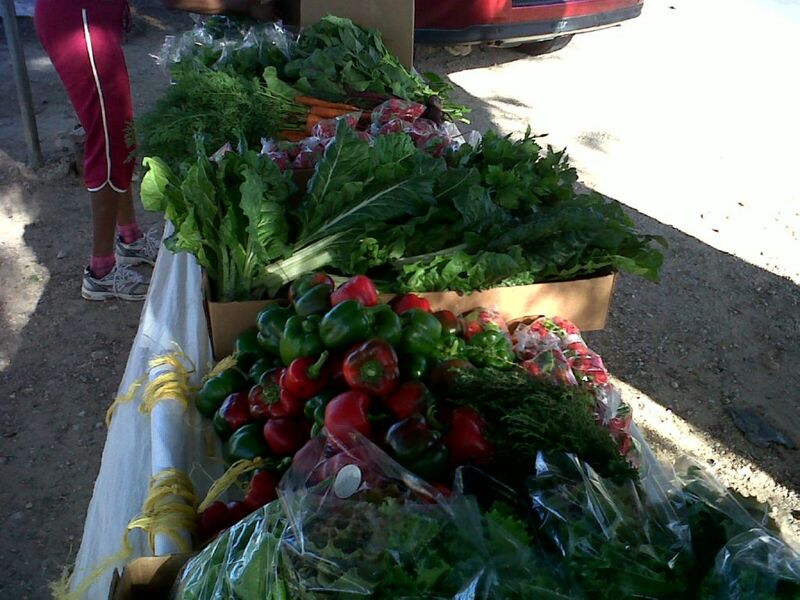 Yes, many Anguillians enjoy fresh fruits and vegetables from Island Greens. What are the highlights of owning Island Greens? I enjoy having satisfied customers. We get compliments on our produce all the time. Tourists also stop by to get fresh items but this is seasonal. What does Island Greens offer? Island Greens offers lettuce and tomatoes in large quantities, egg plant, thyme, sweet and seasoned peppers, carrots, beets, callaloo, swiss chard, green onion, basil, pak choi, kale, dill, mint, coconuts, eggs, pumpkins, sweet potatoes and we also sell coconuts, eggs and mint from other farmers. What are the biggest challenges Island Greens have faced? Space Limitations – All the land we farm is Government land and it is a struggle to get additional land. We would like to expand and be more sustainable but space restricts consistency. Many persons may think an acre of land is a lot of land but when you think about producing a crop such as tomatoes over a six month period, growth must be staggered to have continuous production. With land limitations, you may have to decide when is the best time to focus on tomatoes? For example, should we produce the bulk of tomatoes when the bulk of tourists are here or spread it out over a longer period so more Anguillians can benefit? Water restrictions are also a potential problem. We get water directly from the well before it goes to the processing plant and right now we pay a reasonable fee for water. Whatever I’m interested in at the point in time, I am passionate about. This is definitely a field which has potential. What makes Island Greens stand out? We do hope that you get a variety and better quality of items. We hope that you get a better experience here and that you enjoy coming back to see us. Do you grow organic items? Everything in the green house, that is the leafy greens, is organic. Most other items have minimal pesticides. Few people inquire about whether or not our items are organic. Many people do not understand that organic food will not always look perfect. Consumers still prefer to buy perfect looking food items. Items for farming are supposed to be duty free but this doesn’t always happen seamlessly in practice. For example if fence and posts are imported for agricultural purposes, the fence is duty free but the posts are fully charged. Sometimes, decisions have to go to Executive Council but as a farmer where time is important, it is not feasible to wait for this to occur. A more seamless process is required as this is a very inefficient way of ensuring the country’s sustainability. Any Final Thoughts and what’s next for Island Greens? I would like to encourage everyone to eat local, eat healthy. Items grown locally taste better and will help you to simply enjoy eating vegetables. We are creative and right now we are trying swiss chard something many people didn’t know about. Come by Island Greens and try something new like Shellecia who is going to try the swiss chard today. We also give ideas on how to cook the items and recipes to our customers. Also, have patience with us as we are trying to improve to have a more sustainable, reliable and consistent cycle. We continually strive to improve on the service we currently offer. 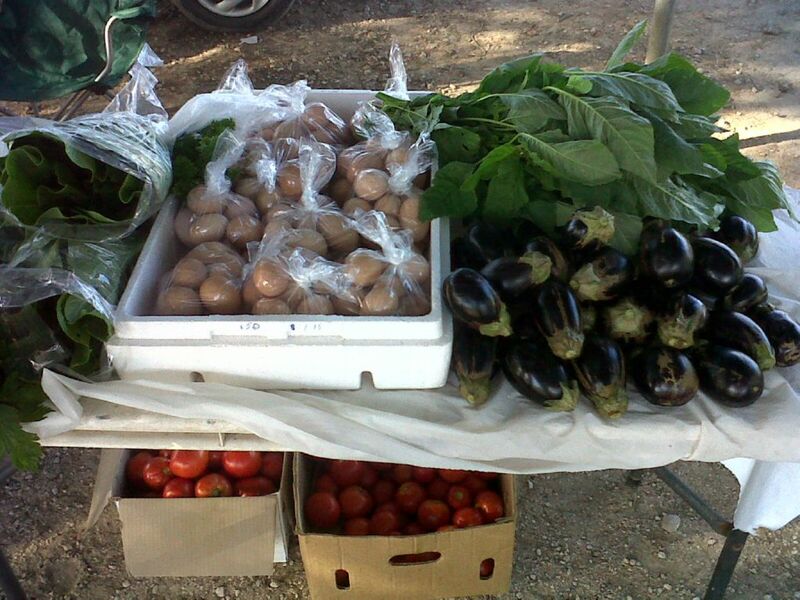 Do you want to know more about local fruits and vegetables in Anguilla? Read about the Agriculture Fair and local backyard fruits here. PreviousWhat are your plans for Anguilla Day?